Borbála Sebok (Budapest, 1982) is a playwright, dramaturge, editor and theatre critic. Borbála has written and rewritten plays since 2006. She worked with Táp Theatre, a company operating in fringe theatres and social meeting points to declare war on traditional theatre making and rigid forms, experimenting with unconventional theatrical methods. She was co-author of Ulysses, a rap opera that mixed the Homer’s original with modern texts, and edited the play Curators about the cultural support and grant system in Hungary. With Secret Company, one of the most intriguing troupes in the Hungarian independent field, she made the dramaturgical works of the Acts of the Pitbull, a play invited to Mc 93 Bobigny Festival “Le standard ideal”, and also to be performed in Berlin’s Hau Theatre in March 2014; furthermore, she co-authored the play The Stepsister of the Dream. She has worked with Káva Theatre in Education Association, Budapest’s first professional Theater in Education (TIE) group, whose main aim, beyond aesthetic education, is to develop democratic attitude and to investigate micro and macro social and ethical-moral problems through theatrical forms. Borbála has authored them four plays: The tangle, based on the actors’ improvisation, is about how to deal with nondemocratic methods; The missing classmate is about school segregation; the Amends and the Statue are part of the so-called project Dramas of Remembering, presenting historical occurrences that affect the contemporary Hungarian society, such as Jewish identity questions and the 2008-09 violent attacks against Hungary’s Gipsy community. Borbála also adapted the radio play Male and Female He Created Them for the Hungarian State Radio. Alongside with her theatrical activities, she has worked as critic for the Hungarian theatre monthly Ellenfény and edited a radio programme at radio TILOS, the first “third type” independent community radio station in Hungary. Currently she works as dramaturge on the daily serial Night and Day Budapest for RTL Klub, a commercial television broadcaster. Borbála holds a DLA (Doctor of Liberal Arts) in dramaturgical questions of TIE performances. In Koli Jean Bofane was born in 1954 in Mbandaka in the Democratic Republic of the Congo (former Zaire). At the age of six years he went to Belgium and up until 1983, when he returned to the DRC, he lived both in Belgium and in Africa. After his studies in communications, Bofane worked in the advertising sector and in 1991 he founded a publishing house (Publications de l'Exocet) which was mainly dedicated to satirical comics, reports on social topics as well as journalistic essays. With the increasing oppression on the publishing houses as well as on the freedom of the press in his country, Bofane like many other writers and journalists of his time, decided to leave Zaire in 1993 and pursue his writing career, turning towards literature, in Belgium. Bofane’s first work, Pourquoi le lion n’est plus le roi des animaux (tr: Why the lion is no longer king of the animals), a satire about dictators, was published in 1996 by éditions Gallimard and awarded the Prix de la Critique de la Communauté française de Belgique. In 2000, Bibi et les canards (tr: Bibi and the ducks), which deals with the theme of migration, was published and also translated into about a dozen languages. Bofane’s latest work Les mathématiques congolaises was published in 2008. The novel is about Célio, a young man who lives in Kinshasa and works hard to earn a living. In the bequest of his father, who was killed while fleeing from the civil war, he finds an old school mathematics exercise book which marks the beginning of his escape into the world of formulas and axioms. Referred to as Célio Mathematics by his friends, Célio creates an entire world of formulas which he uses to explain the complex situation in the Congo and tries to bring order and regulation into the chaotic course of events. In this way he wants to bring the turbulent and opaque state of affairs and the institutionalised confusion onto a controlled path. With a cynical sense of humour and rebellious wit, Bofane manages to portray the grave circumstances of the country. His language, rich in imagery and melody, allows for a singular view on the everyday rhythm of the streets of Kinshasa. The novel was awarded the Prix Jean Muno (2008) as well as the Prix littéraire de la SCAM (2009) and the Grand Prix littéraire de l’Afrique noire (2009). The author lives in Brussels. Kwang-lim KIM was born in Seoul in 1952 in the middle of the Korean war. He studied French Literature at Seoul National University and Theater Arts at UCLA. 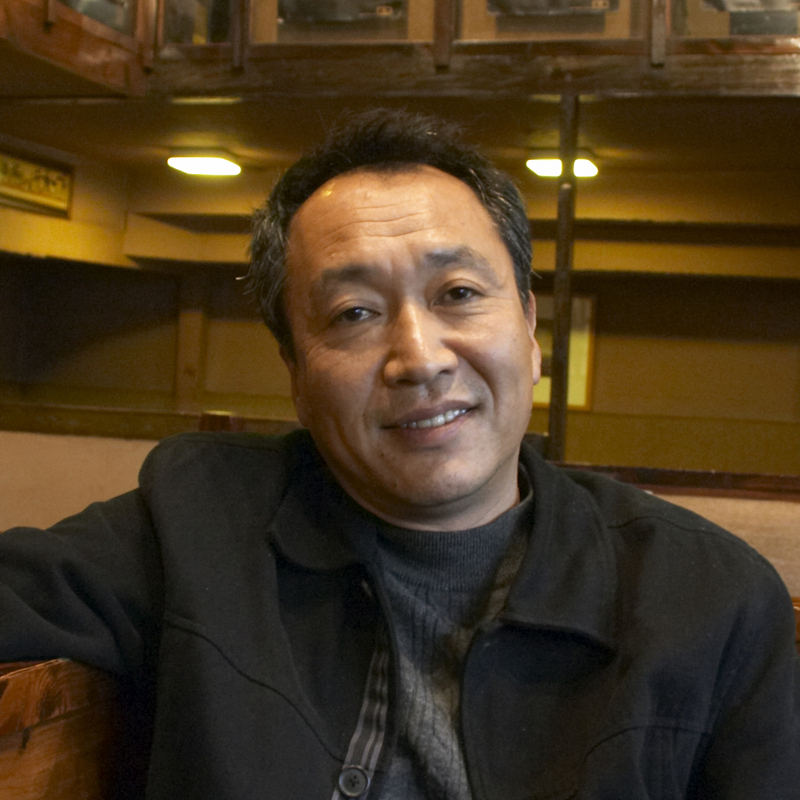 He started playwriting in 1978 for Yeonu Theater Company which he founded. The company mainly dealt with the political and social issues of the Korean society. In ten years, the company became one of the most important theater groups in Korea. After 5 years’ stay in the United States, Kwang-lim KIM returned home to Korea in 1986. Since then, he has written more than 20 plays, most of which he directed himself. His plays include In Quest of Love, The House, Come to See Me, Confession, and Wuturi, the Baby Giant. Come to See Me directed by the author himself premiered in 1996 and the show continued until 2005 when he decided to move on to his next project. However, it is still frequently performed by other directors in both professional and academic venues. The play was made into a film in 2003. It was directed by Junho Bong, a budding film director at the time, under the title of Memories of Murder. The movie attracted more than 6 million audience and opened a new page in the Korean film history. Since 2001, Kwang-lim KIM has concentrated mainly on creating contemporary theatre by adapting Korean theatrical traditions. Wuturi, the Baby Giant, the first fruit of his dedicated efforts, premiered at Seoul Arts Center in 2002. It toured more than 10 cities in Korea. Then it went on international tours: Taiwan in 2002, Russia in 2003, and France (Theatre de Soleil) in 2004. Last year, a new production of Wuturi, the Baby Giant was invited to Theatre en Mai in Dijon, France. Currently, Kwang-lim KIM is a professor in the school of drama at Korean National University of Arts teaching playwriting. Dan Friedman is the Artistic Director of the Castillo Theatre and its youth theatre, Youth Onstage. He helped to found the Castillo theatre in 1984 and has served as its dramaturge since 1989. In 2010, he succeeded Fred Newman as artistic director of the Castillo Theatre. 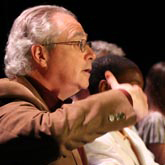 Friedman has written or co-written 15 plays, including a number that have been produced by Castillo and Youth Onstage! 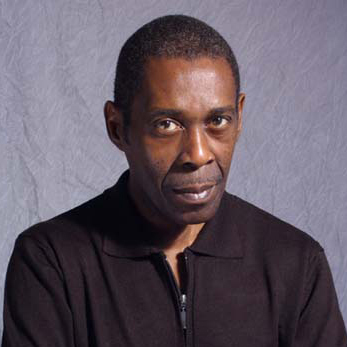 In addition to the acting, directing and producing he has done at Castillo, he has directed at La Mama E.T.C, the Nuyorican Poets Café and at a number of New York City colleges. He holds a doctorate in theatre history from the University of Wisconsin, and has been active in political, experimental and community-based theatre since the late 1960s. He helped to found Madison, Wisconsin’s Theatre-in-the-Park and New York City’s Theatre Collective and Workers’ Stage. He has taught theatre, public speaking and writing at Baruch College, Queensborough Community College, York College, and the Fashion Institute of Technology in New York City. He served as editor of The Cultural Politics of Heiner Müller, (Cambridge Scholars Publishing, 2007), Müller in America (Castillo Cultural Center, 2003), and Still on the Corner and Other Postmodern Political Plays by Fred Newman (Castillo Cultural Center, 1998), and co-editor, with Bruce McConachie, of Theatre for Working Class Audiences in the United States, 1830-1980 (Greenwood Press, 1985). He has written for such publications as The Drama Review, Modern Drama, Communications from the International Brecht Society, and Back Stage. Bruno Freyssinet is a theatre director and project designer for La Transplanisphère (Paris, France). The company is based in Le Carreau du Temple, a new multidisciplinary center initiated by the Paris city hall, where Bruno Freyssinet is artist-in-residence since January 2014. He questions the appropriation and transposition on stage of contemporary geopolitical topics. Through cooperation projects, he stages performances linked to workshops and debates with audiences. In 2009, he has co-directed Stuff Happens (David Hare) at Nanterre- Amandiers Theatre (France). In 2011-2012, he has initiated Rec>ON (reconciliation) and it’s associated play The Descendants, in collaboration with Armenia, Germany and Turkey. The play has been first performed in Yerevan (Oct. 2011), then in Paris and Berlin (May 2012) and Wuppertal (April 2013). In 2013-2014, he has run World Crisis Theatre, a project questioning the Financial and Debt crisis on European cohesion, in cooperation with partners from Iceland, Greece, Italy, Portugal, Germany and Sweden. In Summer 13, he led a first creative session staging The Power of Yes (David Hare) in Athens with a crew of 10 european artists, then performed in Epidaurus Ancient Theatre. This experience led to the creation of The European Crisis Games in Teatermaskinen (Sweden) in April 14, then on Tour in Berlin, Paris, Rome and Evora (Portugal). Originally from Cardiff, Donna relocated to Swansea where she graduated in 2008 with a BA (Honours) Degree in Performing Arts and Theatre studies from Swansea Metropolitan University (UWTSD). Since then Donna has developed a varied performance career in Theatre and Music. Donna has a real passion for immersive theatre that explores our vulnerabilities and ultimately our connectedness. As well as performing Donna also writes and develops her own work, and in 2010 she devised ‘Smell Tour’ as part of a range of audience interactive experiments for ‘Don’t Call Us We’ll Call You’ a ShellShock Theatre Company event. This was performed at the Edinburgh Fringe Festival in conjunction with Forest Fringe. As a professional singer Donna has performed at many festivals and clubs, with a voice that can lend itself to most genres of music, she can seamlessly change between serenading audiences with Abba classics and getting people dancing by belting out rock songs. Over the years she has trained with Fern Smith and Paul Davies, the artistic directors of Volcano Theatre and performed in their production ‘Blinda’ (A Sensory Adventure for Audiences) in 2012 and 2013. More recently Donna has been working on her one woman show ‘Donna’ and has been developing this with the artistic collective ‘Garfan Yr Odyn’ a scheme initiated by Volcano Theatre. ‘Donna’ is an autobiographical project that also aims to address the British drinking culture socially and historically. At the core of her projects Donna explores identity and how this may change and evolve depending on our age. 24 year-old Forbon N'Zakimuena alias PRINCEPS is an self-educated artist. Princeps’s art deals with the words, the expression (song, slam and rap) and the musicality (beatbox, loop station). Two meetings deeply influenced his evolution as an artist : first was with kid lucky, Beat-Mc, Beat-rhyming initiator (to combine both words, rythmics and melodies), second was with D’ from Kabal, famous elder fo the Hip-Hop scene and know as a slamer. Princeps leads several projects : Prin Live Sessions, La Toison d'Art, a web-serie he created, NO MAD, beat n' word band with spoken word, poetry, beat box, loop station, sound design, sampling and other instruments. Since may 2013, he animates writing classes in Paris (France) with many cultural social institutes such as La Grande Halle de la Villette. Natasa Stork is a freelancer actress, who works in a changing cultural scene where the once stiff boundary between classical and independent theatre diminishes rapidly. After she had graduated from the University of Theatre and Film in 2008, Natasa was a member of the Hungarian National Theatre Company for 2 years. During that time she acted in classical theatrical projects, but she was more than willing to take part in independent and more experimental works too. In 2010 Natasa was granted a 1-year EU Scholaprship to study dancing in Amsterdam, and after that, as a full-timer freelancer, she signed on for numerous theatre projects with innovative independent groups, such as Krétakör and Secret Company. With these projects Natasa was invited to many prestigious festivals, like MC 93 Bobigny’s Le standard idéal and Temps d'Images (Paris), Kunsten Festival des Arts (Brussels), F.I.N.D. (Berlin). Using theatre in education is a relatively new field for Natasa, but she vows to contine working in plays made directly for high school students. Natasa also works in films: Heavenly Shift (2013) won the best film award in Porto, and her latest work, White God (2014) was awarded the main prize of the Un Certain Regard section in Cannes. Michael grew up as a musician and a violin player. In his twenties he co-created different experimental groups, like the string trio Spelling Alphabet and the improvisation collective çaGrat. He has been working as conductor whose speciality is to lead creation processes with non musicians (Dizôrkestra). He worked as a coach on a musical project involving deaf people who would perform a Bach cantata on stage. He also conducted a bicycles bells symphony ( https://vimeo.com/57209524). He also works as a producer, focusing on cooperation with Haïtian musicians (www.desirfiorini.info ; www.choukbwalibete.info). After her piano studies in Belgium and Portugal, Pak Yan's musical interests made a shift towards free improvisation and sound/noise related music. Her love for curious sounding objects, her obsession for toys and her fetish for toypiano’s resulted into a toy band called 'The Crappy Mini Band'. Other explorations found an output in 'Kuruwasan' (impro/jazz quartet with Daysuke Takaoka, João Lobo and Grégoire Tirtiaux). Nowadays she is primarily working on her solo project (for prepared piano/synths/toypiano's), her groove/trance project 'Going' and her minimal trio 'lauroshilau'. Her music spans different horizons, with improvisation and sound as main focus. Taking the extraordinary out of the ordinary and creating little sound-mosaics in a minimal, poetic way, while exploring the vast spectrum of sonar possibility is the best way to describe her path. Besides, she also makes music for dance-theatre productions (‘Gadgetland’ with Lazara Rosell Albear, R.U.T.H. from Marjolein Elsink, 'Appeau' Cie La Zampa), shadow theatre (The Fabulous Choi Sisters), documentary (‘News From Nowhere’ by Christoph Van Collie) and children theatre Tweelicht & Zoon (production ‘SAAI’). Born in Vitoria Gasteiz (Spain) and awarded the degree of Bachelor of Arts in Drama with First Class Honours by the University of Kent, Iker is trained as an actor in different schools, such as the William Layton Laboratory, Juan Carlos Corazza´s Studio and the Esadt, in Madrid, Franco Américain Cinéma Théâtre, Êcole de Danse du Marais and Êcole Marcel Marceau in Paris and John Strasberg´s Studio, Broadway Dance Center and The Acting Studio in New York, amongst others, with Acting teachers like Luis Blat, James Price, John Grabowsky or John Strasberg. He starts soon working as an actor, and at the age of 21 he plays the main male character of Michael Winterbottom´s “Under the Sun”, which will lead him towards the United Kingdom, where he also works in Theatre and Television. After her acting formation in Koln (Germany), she worked with many theaters across Germany. She can play either in private theaters for popular plays or in theater-in-a-park and summer festivals. She works also in a young austrian collective of performers. She’s comfortable with mutli-lingual plays as she’s done many of these types of european productions, for example in the National theater of Luxembourg or in the Rom Theater of Koln. She grew up in Germany and in France, she’s bilingual and has both nationalities. Dialogue and communication are her main interest in her theatrical work and research. She worked with the director Bruno Freyssinet in 2013 on the european project World Crisis Theater and played in English for the first time. Since 2011, she creates plays for the young people with an educational theme (last one was about young adults harrassment on the internet) and also in the FEZ, a theater structure for children in former East Berlin. She also records voices for the radio, advertising and cinema. Both dancer, performer, singer, author and actor, Arthur Navellou develops his practice of art in a eclectic and global approach. After a bachelor in Arts du Spectacle at the Nanterre University, he worked as an assistant for the company La Transplanisphère, which created Stuff Happens, du 11 septembre à la guerre d’Irak directed by Bruno Freyssinet in le théâtre des Amandiers ; two years later, he assisted again the director on the play The Descendants written by Sedef Ecer and created in Yerevan, Armenia. Alongside his academic studies, he joined the conservatory of the 7th arrondissement of Paris in Drama. In May 2010, as part of a theater festival at the théâtre du Rond-Point, he wrote Hamburger Lady, a revamped version of Medea. Since 2010, he participated in all the performances of the corps collectif : he questioned with them the body representation in the public sphere. Finally, with Apolline, a rock band, he released an album in March 2013 "No Longer Rain," followed by a tour first in France and then in New York for the festival of independent contemporary music (CMJ).